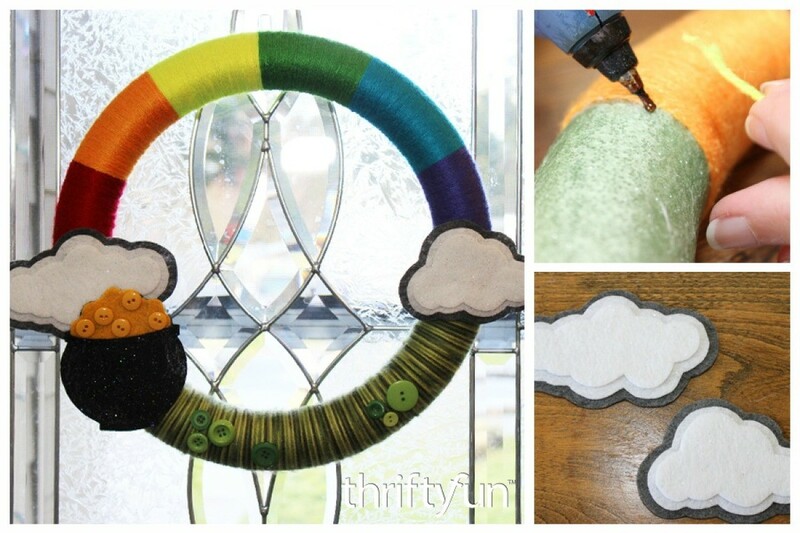 A great craft project for St. Patrick's day is a door wreath. This is a guide about St. Patrick's Day wreath ideas. I love anything green. Being part Irish I too love the month of March. This wreath is super easy to make if you crochet. If you don't, you might find someone to do that for you. 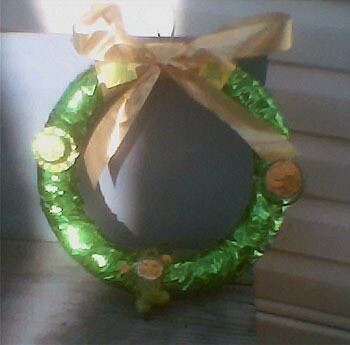 Wrap green ribbon around wreath and glue into place. Glue on decorations then tie bow at top. 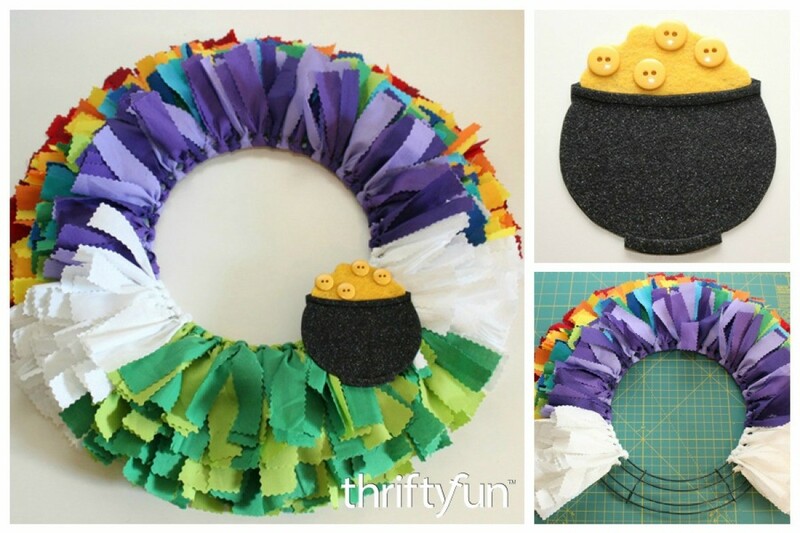 Using bright yarn, fun felt shapes and a foam circle, you can create a festive wreath. 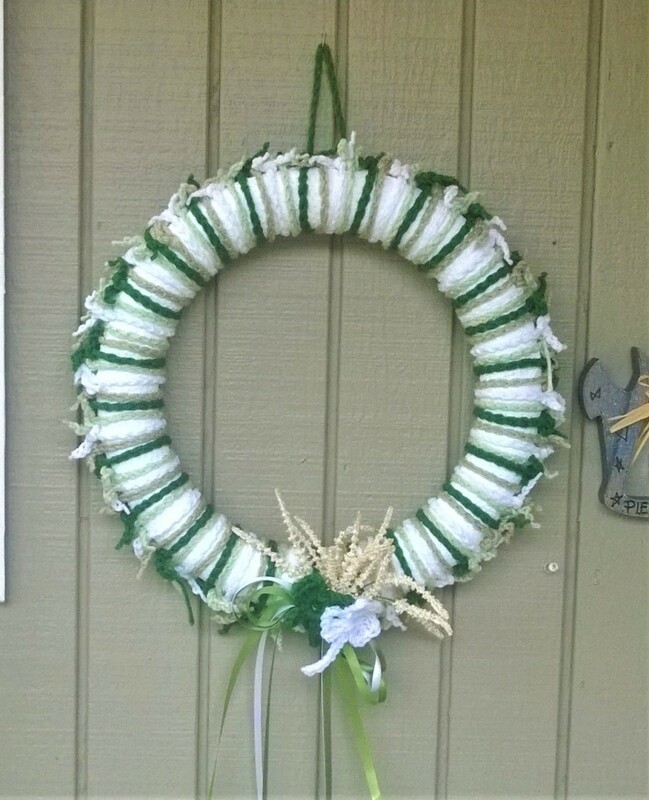 This is a guide about St. Patrick's Day yarn wrapped wreath. 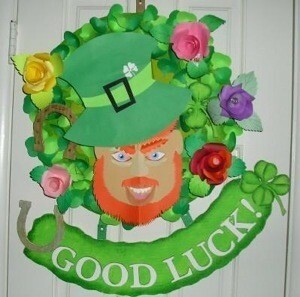 Hang this festive fellow on your front door to celebrate your Irish heritage. 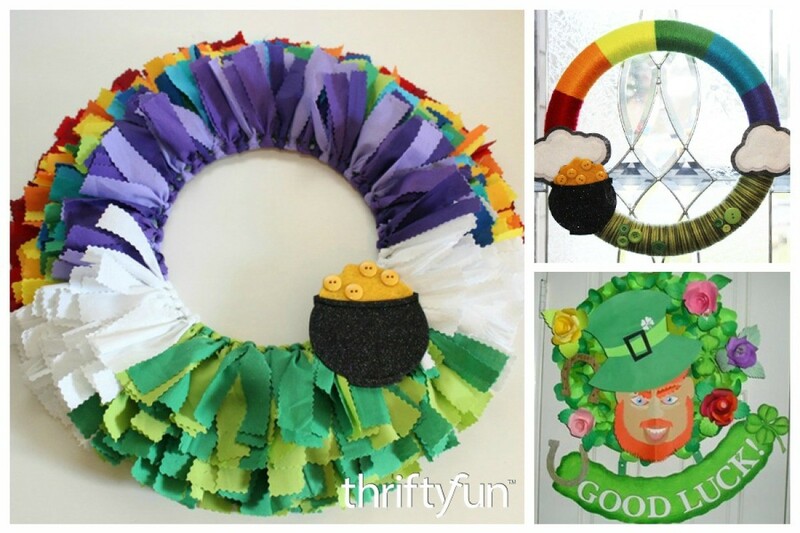 This is a guide about making a leprechaun wreath for St. Patrick's Day.